Map showing location of Awakeri Hot Springs . Use the controls on the map to zoom in and out. Appalling staff service. Gave our cabin to someone else at lunchtime on our arrival day despite us booking months earlier. Didnt tell us until we arrived even though they had our phone number and could have called. Staff and manager didn't care that we had wasted our time and petrol. We will never go back. Beware that booking obviously doesn't guarantee accommodation will be available. 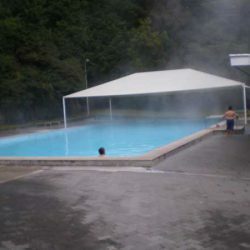 Nice place however management dont control the youths and alchohol during the night.They dont take action and leave it to the campers to sort out.NO refunds after all night parties.Dog swimming in the hotpool with young campers.Not a good look. Relaxing, clean, good price, will definately go again! Really enjoyed our stay there. Clean pools, nice and hot. The private spas are fabulous. Pricing is very reasonable. Friendly and helpful staff. Big Thumbs Up from my family and I!!! 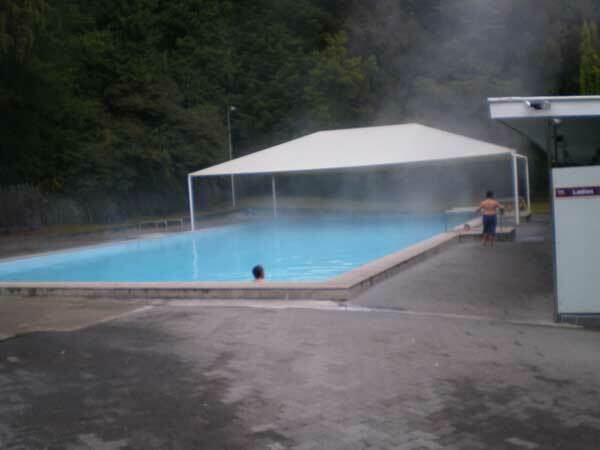 nice pools, next to a big bbq area pools are sort of hot the cabins are cool in 2 ways Fun to have 5 swims a day! I went there while on my honeymoon, it was ok, nothing special, but the private pools were very nice indeed.